Primo Ramdisk is the second generation of VSuite Ramdisk product. It brings new features and improved performance, as well as a friendlier user interface. As VSuite Ramdisk did, Primo Ramdisk also provides a solution to speed up your computer by overcoming current hard disk bottleneck issue. It allows you to simulate hard disks using available physical memory. Because the access speed of physical memory is so much faster than most kinds of storage, this greatly speeds up your computer with reduced access time to files, which in turn, shows a huge improvement in overall performance.Primo Ramdisk features a host of powerful functions and options maximizing performance and applicability. Primo Ramdisk supports up to 128 virtual disks. Each virtual disk can identify itself to Windows as a real physical hard disk or as a logical disk. It can be formatted with any Windows supported file system. Furthermore, Primo Ramdisk allows you to customize file system settings if necessary. Primo Ramdisk also provides strong ability to rapidly save/restore ramdisk contents to/from an image file. Thus a ramdisk\'s contents can be preserved across computer restarts, in spite of the volatility of physical memory. 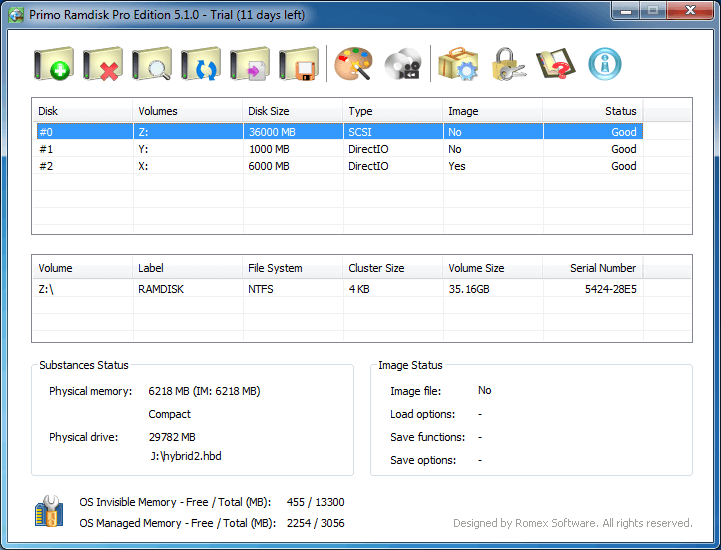 Besides ramdisks, Primo Ramdisk also supports to create hybrid-disks and file-disks, greatly extending itsfunctionality. Stellar Phoenix (SCO UnixWare) is NON-DESTRUCTIVE and READ ONLY file&volume recovery software that helps you in recovering your all-important data. Key File System Data Structures in HTFS and EAFS.